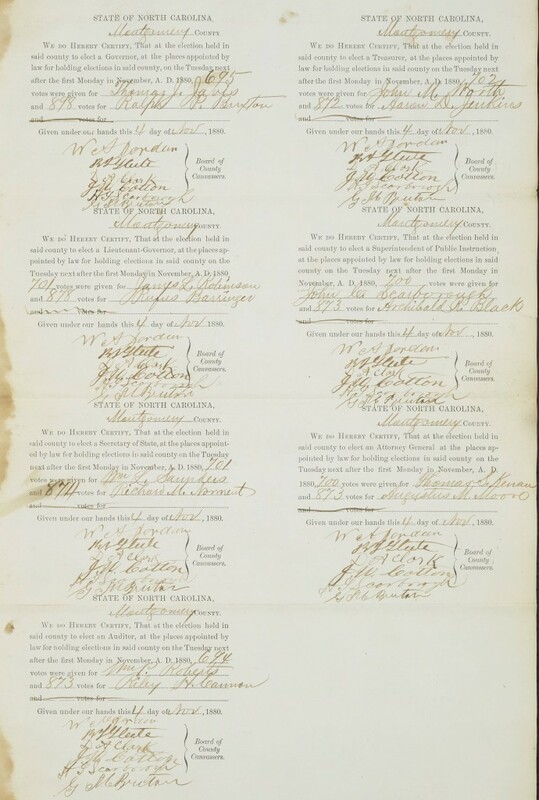 The Montgomery County Public Library recently provided the North Carolina Digital Heritage Center with a wide variety of materials to digitize and publish on DigitalNC. 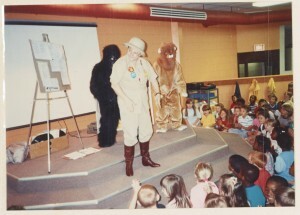 Coming directly from the library is a photo album from the 1980s depicting the library’s various activities and programs, including arts and crafts, a quiz bowl, summer reading programs, and a library luncheon. 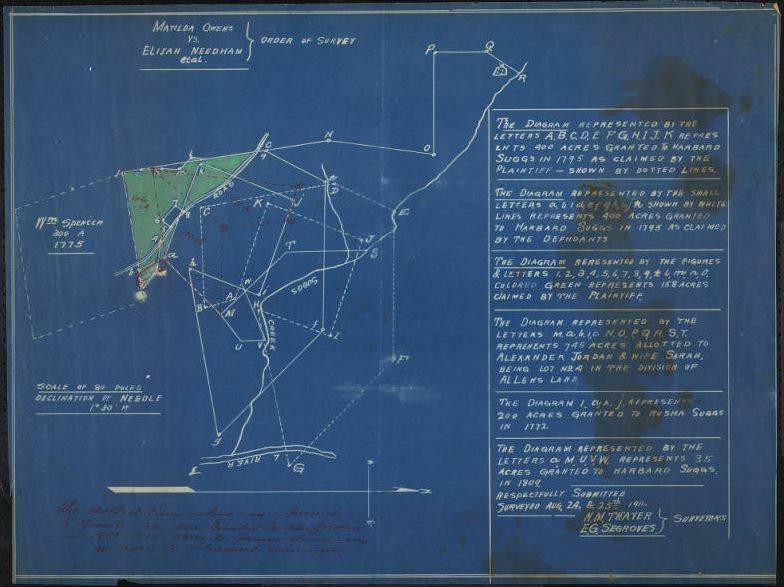 In our Images of North Carolina collection, we also recently added a few maps and blueprints of various areas of interest around Montgomery County, pictures related to prominent members of the community, and four photographs from Candor School of Miss Elizabeth Currie and her fellow faculty members and pupils. In the North Carolina Memory Collection there are two more items related to Miss Currie: a music recital program and a piano recital program. Also from a school in Montgomery County are two play programs put on by a class in Troy Elementary. A number of election returns from Montgomery County in the 1880s were included, and they show how the districts in Montgomery voted on such matters at what to do about public debt and who to elect for president, representation, and state officials. Furthermore, we have added booklets written by local historian Catherine Watkins McKinnon: a history of Sharon and First Presbyterian Church in Mt. 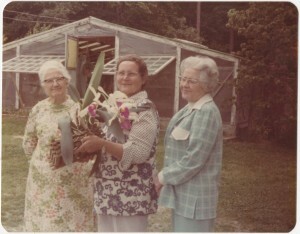 Gilhead, and a history of the Big Oak Christian Church in Eagle Springs. 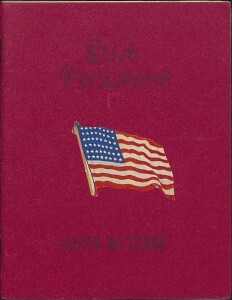 For a bit of more recent history, we have a copy of a booklet printed by the American Legion listing all of the service men and women from Montgomery County who served in the World Wars. Also added in this batch are some items about the various activities of some of the clubs in Montgomery County. A number of yearbooks from the Woman’s Club of Biscoe list their events and programs throughout the year, and each one contains a copy of both their constitution and bylaws. There is also a program from the Charter Night for the Rotary Club of Star, North Carolina, sponsored by the Troy division of the Rotary Club. Finally, the Montgomery County Public Library provided issues from the 1960s of The Smoke Signal (West Montgomery High School’s student newspaper), two funeral programs (for Othar C. Hunsucker and Juanita Auman Wallace) and some newspaper clippings about the town of Troy winning the Sandhills Area Development Association’s community development contest. For more information about the Montgomery County Public library and their materials, visit their contributor page on DigitalNC, the library’s website, or see these previous blog posts from DigitalNC.